Glycolic acid (AHA) and gluconolactone (PHA) are listed further down on the list, but I’m not sure which ingredient acts as the BHA component. The top ingredients are thickeners, binders, and surfactants that are likely there for the texture transformation, etc. To use the mask, one simply needs to slightly dampen the face (so after washing with your second cleanser is great), spread the mask on, and massage until foamy. Count 30-60 seconds and wash off completely before proceeding with the next steps of your routine, if applicable. Mild and never irritating, it worked great on my sensitive skin. I didn’t experience any heating, stinging, or itching, but this also isn’t my first tango with acids. Apart from the acids, some people may have reactions to kaolin clay, so remember to do a patch test or acquire a sample before committing. For people who are annoyed by masks that dry or have to be set for 10 to 15 minutes, a 30 to 60 second wash off mask is great! I was able to mask more consistently because of ease of use. Since the exfoliation is mild, I think this will work for acid beginners or those who are afraid of a strong overnight peel. I find that manual exfoliation 2 to 3 days after first use (and used daily hereafter) yielded a brightened (but not whitened) skin tone with a petal-smooth texture, which is consistent with the Althea branding. I have to admit that the transformation from clay to foam is cool, and this transformation makes it easier to wash off after application. I’m not a fan of masks you have to rub off, or those that get stuck in the drain. No thanks. The mask is also never drying, which is just to say that the performance is consistent with the product’s claims. Great. It’s cheaper than many a mask at P490 for 50ml. The percentages of the acids aren’t stated but it’s intended for daily use. I find that every other day is better, or just when you feel like your complexion is dull, as daily use can yield some breakouts consistent with the effects of over-exfoliation. Don’t worry if it seems somewhat thin upon spreading - the foam thickens by itself. The tingling tickles! The immediate brightness seems to be just an after effect of the mask so the effect disappears after a couple of hours. Still, if you just want to have a quick, extra glow before special occasion, this could work. Products with higher percentages of acids still work better; this did nothing for my budding blackheads, and the peeling is slower than products that have a higher percentage of AHA (like the 5% content of In Her Element’s Glow Job). Flakes are still present (one needs to physically exfoliate those off) but skin feels smooth, fresh, and it looks like it, too! 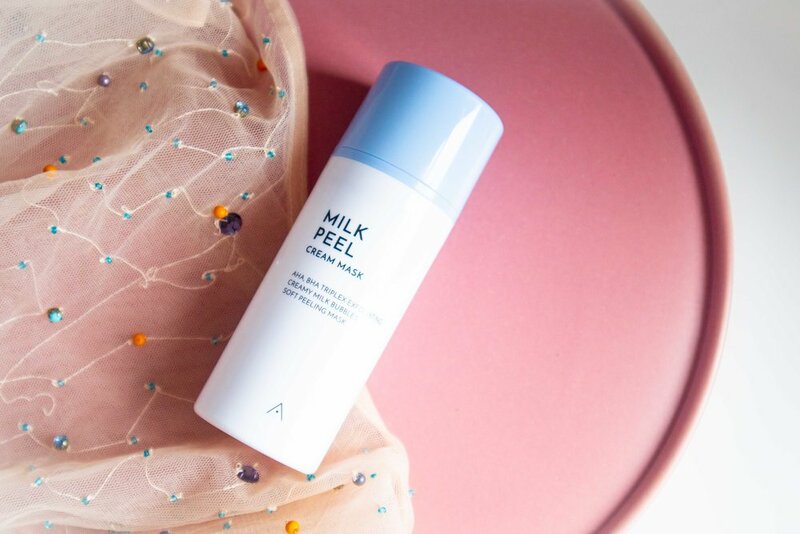 Overall, I liked the Althea Milk Peel Cream Mask and will continue to use it regularly. I’ve already made my sisters try the mask, and they enjoy the texture and smooth skin finish after washing. If you can get your hands on a sample for a patch test, go for it! What are your favorite acid-laden skincare? Let’s discuss.